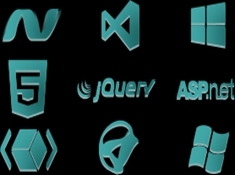 Whether you develop for HTML5, Windows or XAML developer, this ultimate collection of studios and tools enables you to create any type of application—HTML5, WPF, Windows Store, Silverlight, Windows Forms, ASP.NET WebForms, MVC, Windows Phone and even ActiveX. Microsoft Visual Studio LightSwitch is designed to help business users and developers rapidly develop data-based applications with minimal code. ComponentOne Studio for LightSwitch Complete takes this concept to the next level by providing two sets of extensions, one for the HTML Mobile Client and another for the Silverlight Desktop Client, that snap right into your application and instantly extend their functionality. OLAP analysis without the cubes. Create interactive tables, charts, and reports using ComponentOne OLAP™ for Silverlight. This suite of Silverlight controls provides analytical processing features similar to those found in Microsoft Excel Pivot Tables and Pivot Charts. Drag-and-drop views give you real-time information, insights, and results in seconds. We evaluated all of the major help authoring tools during this process. Doc-To-Help was by far the best tool for the job.